Back in October of last year was the first time I heard about the American Singer/Songwriter Sixto Rodriguez and I posted about my discovery here. Last year I also heard that he was schedule to come out to Australia and play Bluesfest and also some side dates. And this week I was lucky enough to go and see his performance at a packed out Tivoli. I thought I was getting there early at close to 8 o’clock but when I turned up the place was already packed. From my footing it felt like I was in a land of giants. I could barely see the stage and I was about a third of the way from the stage. The crowd was eclectic. There was a real buzz happening. The support and Rodriguez’s band for the evening, The Break, came onto the stage around 8.50pm. Blasting from the stage with their snappy surf rock tunes with an excellent backdrop of various video scenes. The first song was catchy and I was dancing around on the spot. But after five or six songs I was ready for them to introduce Rodriguez. That was the sentiments of the people around me too. The setlist included lots of the favourites that I’d been playing by way the Documentary soundtrack including Sugarman, I Wonder, Crucify Your Mind. His voice is still the same. His lyrics wonderful. There were times when I had to tippy-toe to even see him. There were times when you couldn’t even hear his voice as the crowd chimed in especially on Sugarman. The band were at times helpful to fill out the sound, but sometimes they sounded a little out. All in all a brilliant night. I’m so glad I got along. 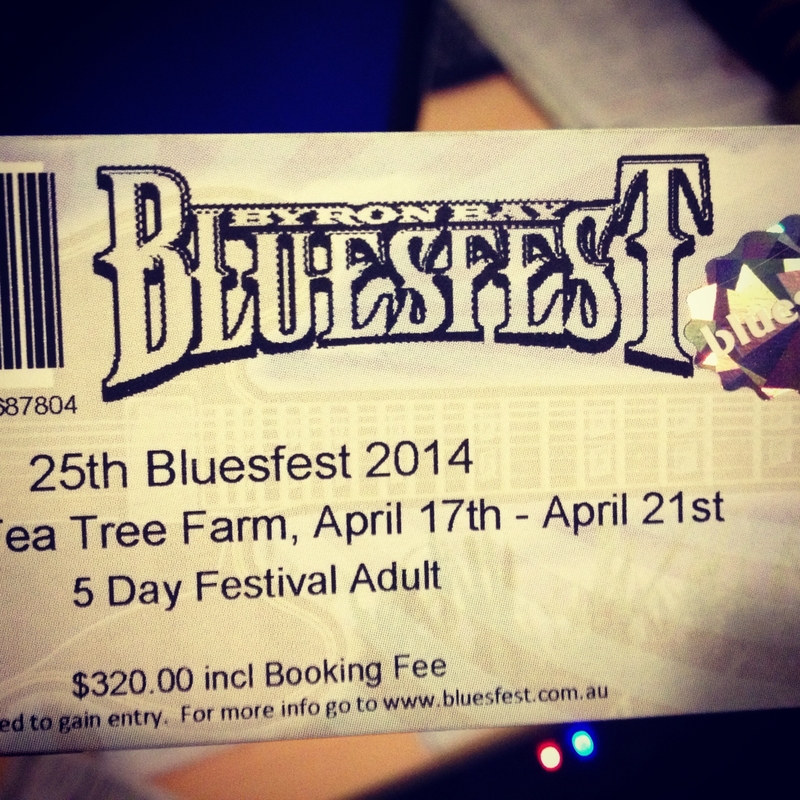 Meanwhile my brother just returned from Byron Bay Bluesfest. So needless to say there are muchos tales of who he saw and how far he was from them. But on the plus side he was able to buy ‘early-bird’ tickets and he got me one. Now only 377 days to wait for the 25th anniversary weekend! Cannot wait.